Choosing a career can be a daunting task. Many people who are considering a postsecondary education are pursuing careers in tech-related industries because of the increased automation of our daily lives. However, it is worth noting that skilled trades are as important today as they have ever been and there is a great demand for workers in such fields. There are certain jobs that are better performed by skilled workers. And it’s the type of job that you’re able to leave behind when you go home for the day! Certificate of Heavy Equipment Operations – Level I is a three-week course designed to provide even the most novice student a practical understanding of basic heavy equipment operation. You will learn the essential skills of earthmoving, including digging, trenching and loading, in addition to heavy equipment safety, preventive maintenance, and construction site fundamentals such as grades and elevations, soil properties and blueprint reading. HEC offers the curriculum and valuable combination of hands-on experience and classroom instruction that lead to well-rounded and capable entry-level professionals. We believe learning should be a great experience. That is why we are proud to offer courses that have been carefully constructed to give our students the opportunity to excel in their field. Hands-On Training: In this program, you will learn the basics of working as a heavy equipment operator. This generally includes the basics of backhoes and wheel loaders, depending on location. This program gives you a solid foundation upon which to build your career. Three Week Program: We understand you have a busy life and you can’t afford to spend months, even years, to complete a training program. To help get you out of the classroom and into a position, this program can be finished in three weeks. Multiple Locations: We have locations all across the United States. Find a location near your home and conveniently train for your new career. Military Benefits: We are proud to support and honor the brave women and men who fight for our country. We believe you should be able to use the skills you’ve learned while in the military and work them into a brand new To that end, our schools are eligible for approved for VA education so that you may get the training you need at an affordable price. 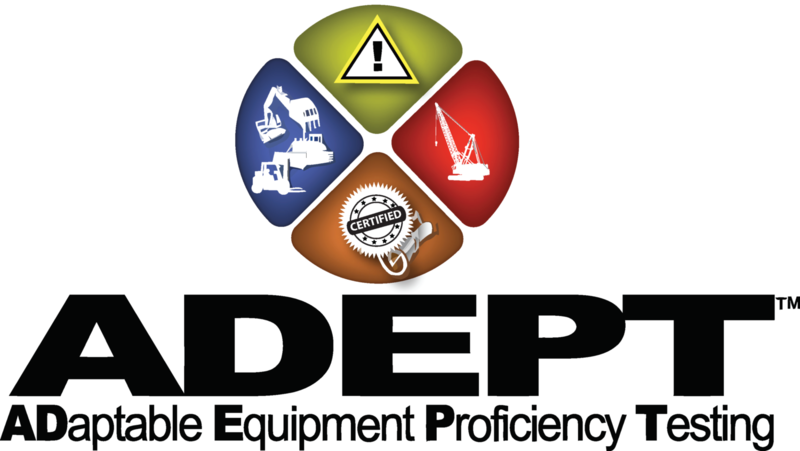 Certification: Earning the Certificate of Heavy Equipment Operations – Level I training will qualify you for the ADEPT (Adaptable Equipment Proficiency Testing) exam, a nationally-recognized heavy equipment operations certification valued by employers across the country. The demand for knowledgeable and skilled heavy equipment operators is expected to continue to increase over the next ten years. According to the Bureau of Labor Statistics, the field of heavy equipment operation stands to grow as much as 10 percent from 2014 to 2024. Are you ready to continue on the path to acquiring the education and skills you need to succeed in field of heavy equipment operations? For more information, contact us today. We can talk about the next steps and help you enroll in the course. Best of all, you will be one step closer to starting a career you can truly love once you have finished with our Certificate of Heavy Equipment Operations – Level I program. You will have gained a foundation on which to build in the next program. We are excited to have you and help you throughout your journey. At HEC, we have built a program that revolves around you. Come see how it works! *Program availability varies by location. Are you ready to continue on the path to acquiring the education and skills you need to succeed in field of heavy equipment operations? For more information, contact us today. We can talk about the next steps and help you enroll in the course. You will have gained a foundation on which to build in our Certificate of Heavy Equipment Operations – Level ll course. We are excited to have you and help you throughout your journey. At HEC, we have built a program that revolves around you. Come see how it works! **Program availability varies by campus.